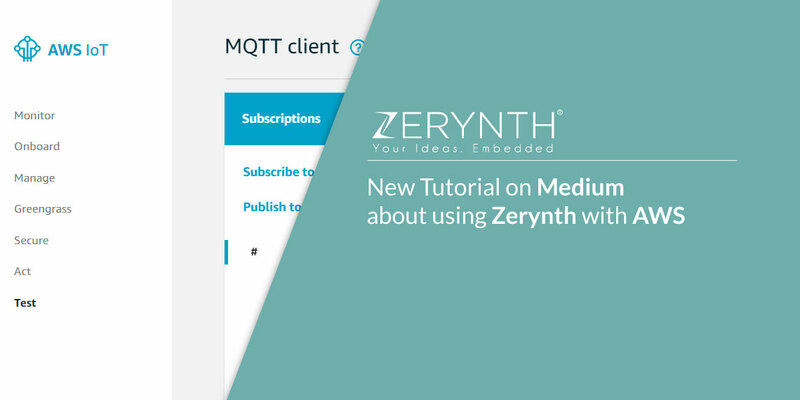 We seem to be getting more and more popular on Medium: another tutorial with Zerynth Studio popped up recently, so we decided to share it with you. This time the topic is “AWS IoT and Greengrass using Espressif esp32 devkitc with Zerynth Studio”. A Medium user called Jazib has just started a series of articles on AWS IoT, so naturally, Zerynth Studio is a part of the course. There are some prerequisites to getting started with the tutorial, and Jazib has compiled a neat list of them, which you can check out at the beginning of his tutorial. It’s basic things like, having an idea how to create a device in the AWS IoT Cloud and knowing how to register a device in Zerynth Studio. The tutorial has plenty of images that accompany the text, so it’s pretty easy to follow. If you do get stuck, Jazib advises to contact him or post a comment to get help. If you follow us more closely, you probably already seen the Udemy course on Exploring AWS IoT, where Zerynth is a significant part of the curriculum. But if you haven’t, it’s a great chance to learn more about AWS IoT in general and to learn how to program the ESP32 DevKit C in Python with Zerynth. While sticking to the same topic, we wanted to remind you how easy it is to remotely update the firmware of embedded devices with AWS and Zerynth. We have a detailed post on Zerynth Academy that explains how to get started with FOTA updates for AWS that leads you through the whole process until you have uploaded new firmware over-the-air to your ESP32 device. With all these knowledge at hand, you can download Zerynth Studio and try this out for yourself. Before you start the project, you can also check out why Zerynth is recommended by Espressif Systems as firmware toolkit for ESP32.